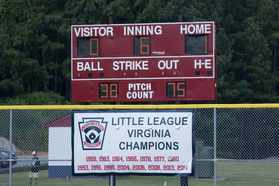 Danville Little League has a new website! online at our new website! You can also register online! Click on the link and check it out!!! Nationals Win In Walk-Off Fashion! 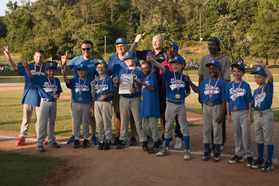 The Danville Nationals opened the 2015 Virginia state Majors Tournament in dramatic fashion, edging Culpepper LL by a score of 1-0 on Friday at Tuckahoe Little League. Grant Elliott drove a two-out, two strike pitch to deep center in the bottom of the 6th for the win. Dylan Harraway held the Culpepper bats at bay, pitching a 3-hit shutout, striking out 11 in the process. Defensively, the Nationals saved the game with a 6-3-2 double-play in the top of the 6th. With runners at 2nd and 3rd and only one out, the game was in jeopardy for the Nationals. With the infield in, Harraway got the Culpepper number five hitter to ground to short. Christian Lancaster fielded the ball cleanly, took a step to third to freeze the runner, then fired to first for the ground out. Daniel Hicks made the put-out, then immediately fired to Elliott at the plate, who made the catch and tag on the runner trying to advance from third. This game-saving double-play set the stage for the drmatic walk-off from Elliott. The Nationals will face York County National LL on Friday at 11:45 am. 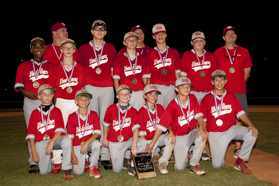 The Danville Nationals survived a shaky start to defeat Lynchburg Jefferson 11-1 Friday night at Miller Park in 5 innings. Jefferson scored once in the top of the first to grab the early momentum. Colin Moore came on early in relief to retire the side and prevent any more runs. In the bottom half of the inning Nationals lead-off hitter Christian Lancaster homered to right center to even the score, and the Nationals never looked back. Twelve Nationals hitters came to the plate, and seven runs came across to score. With two out in the top half of the 5th, and the Nationals ahead 10-1, the game was halted due to lightning. After three delays lasting more than an hour, play finally resumed and Jefferson left two stranded. In the bottom of the inning a two out deep fly by Moore was muffed by the left fielder, and Lancaster scored all the way from first to end the game. 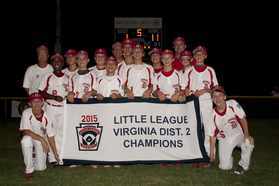 The Nationals will now head to Richmond for the state tournament, with play beginning July 24th. Congratulations to Rotary, who defeated Riverview Dental 3-1 to win the Minors city tournament!